Try our unique all natural Beef Sticks. A mild spiced beef stick that the kids will love. One will not be enough! Great for snacks or cut into bite size pieces and add one of our cheeses for a perfect appetizer dish. 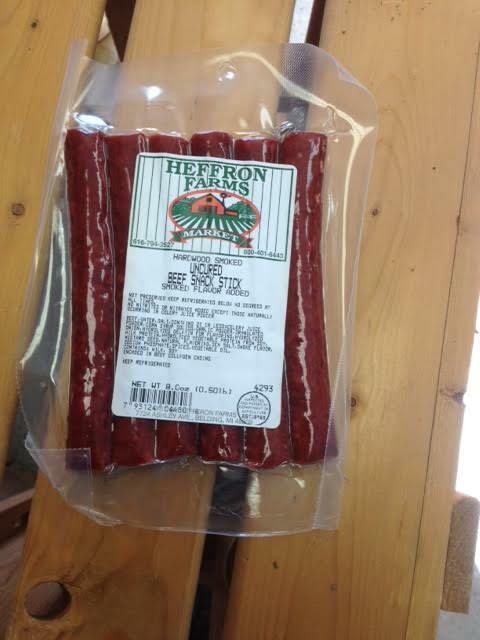 Beef sticks come in 8oz. package.